The annual Hibernia St. Patrick's Day Parade and 5K run provides a fun time for all ages. This event is currently in its 39th year and has been a popular springtime event for locals as well as visitors to the Biloxi area. It's held annually on the Saturday before St. Patrick's Day. The 2017 run and parade will be held on March 11th in downtown Biloxi. Everyone is invited to come down to enjoy the lovely spring weather and festivities. The parade provides an opportunity for everyone to get into the St. Patrick's Day spirit with all the green and Irish influences. It begins at 2 PM. The parade will have a variety of St. Patrick's Day themed floats and decorations. The Grand Marshal will ride on an beautifully decorated horse drawn carriage. Children will be delighted to see leprechauns and other characters. Some of the floats will be throwing Irish themed prizes like green beads and doubloons. The parade will also feature a selection of music from local marching bands as well as bagpipe players. Those who wish to participate in the parade can complete a parade registration form that can be found on the Hibernia Marching Society website. Various prizes will be awarded to parade participants based on their floats and creativity. The Irish Derby/5K run will be held at on the morning of March 11th. The 1-mile run will begin at 9 AM and the 5K will start at 9:30. This event is presented by the Hibernia Marching Society and the Gulf Coast Running Club. The fees for the run vary based on age and Gulf Coast Running Club membership status. It is open to everyone who wishes to participate and all participants will receive a t-shirt. Everyone who participates in the run is encouraged to dress up in festive St Patrick's Day costumes. There will be prizes awarded for the best costumes for individual adults, best group costumes, and best children's costume. The running club also awards prizes related to run times. Runners can complete the registration form found on the Gulf Coast Running Club website. If you plan to be in the Biloxi area on March 11th, 2017, be sure to check out the 5K run and the St. Patrick's Day Parade. Everyone is invited to dress in green and come down to enjoy the celebration. These events are wonderful for children of all ages and can also provide some fun entertainment for the adults in the family. Seeing the creativity of the race participants when creating their costumes is one of the highlights of the day for those watching the race to cheer the runners on. 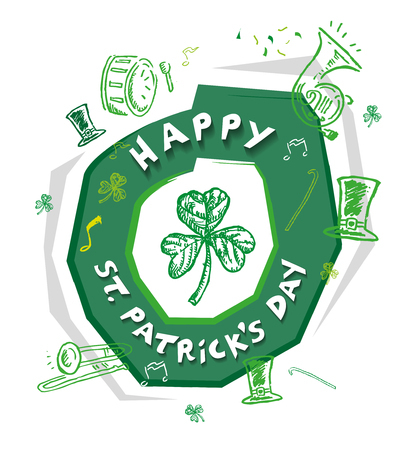 Be sure to stick around for the parade and enjoy all the St Patrick's Day fun throughout the day. Everyone is welcome, whether you're Irish, or just Irish at heart.